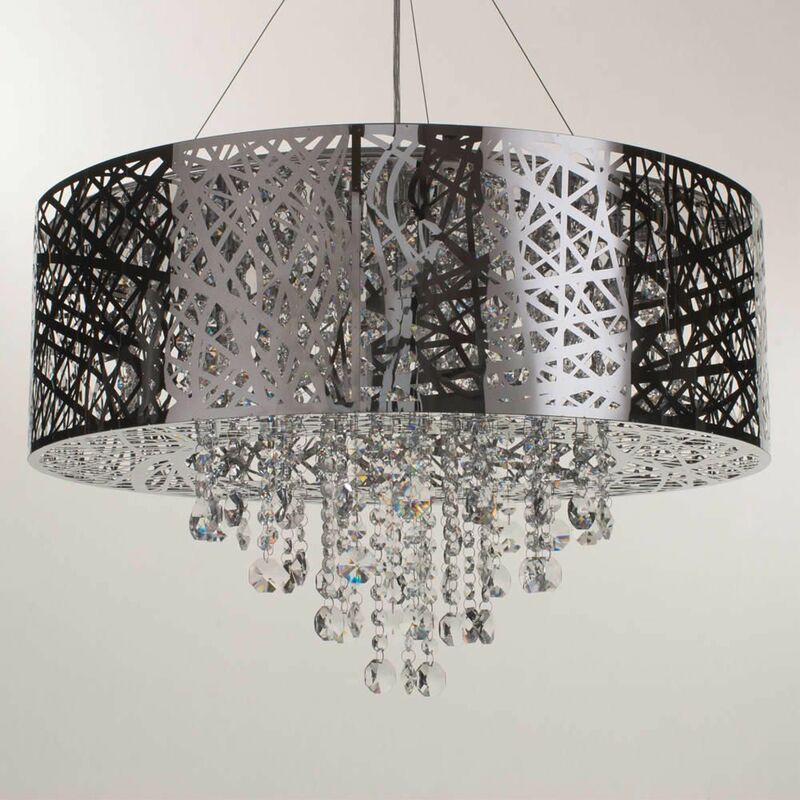 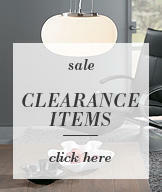 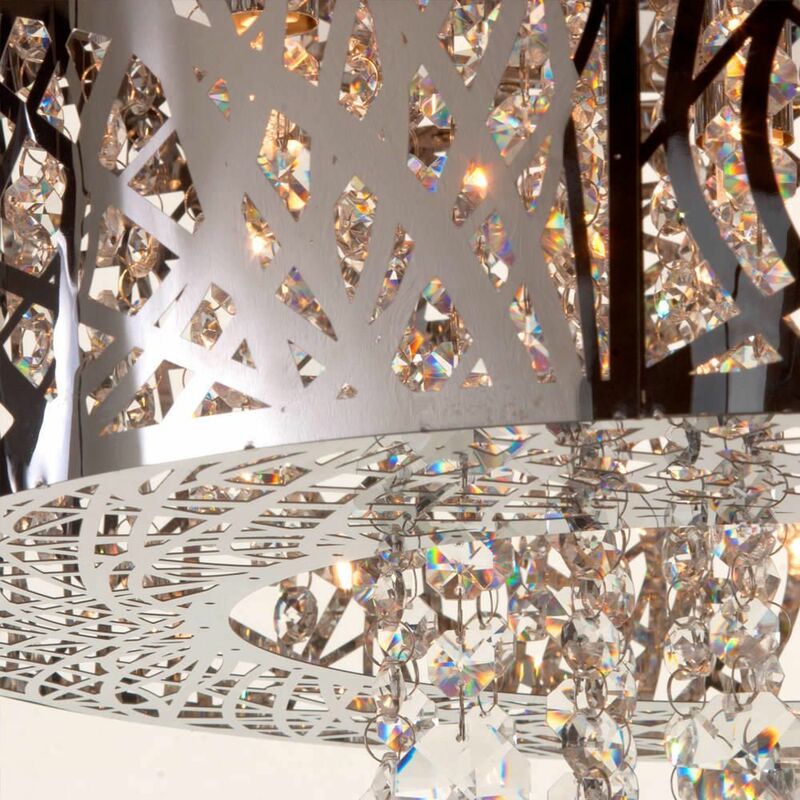 Create a stunning style statement with the Ashley drum pendant ceiling light. 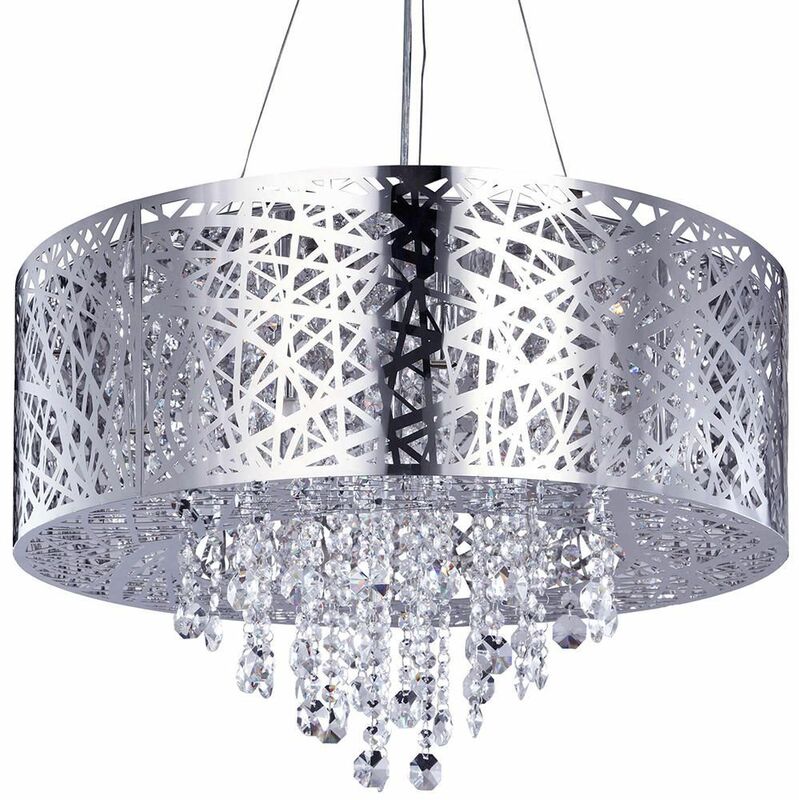 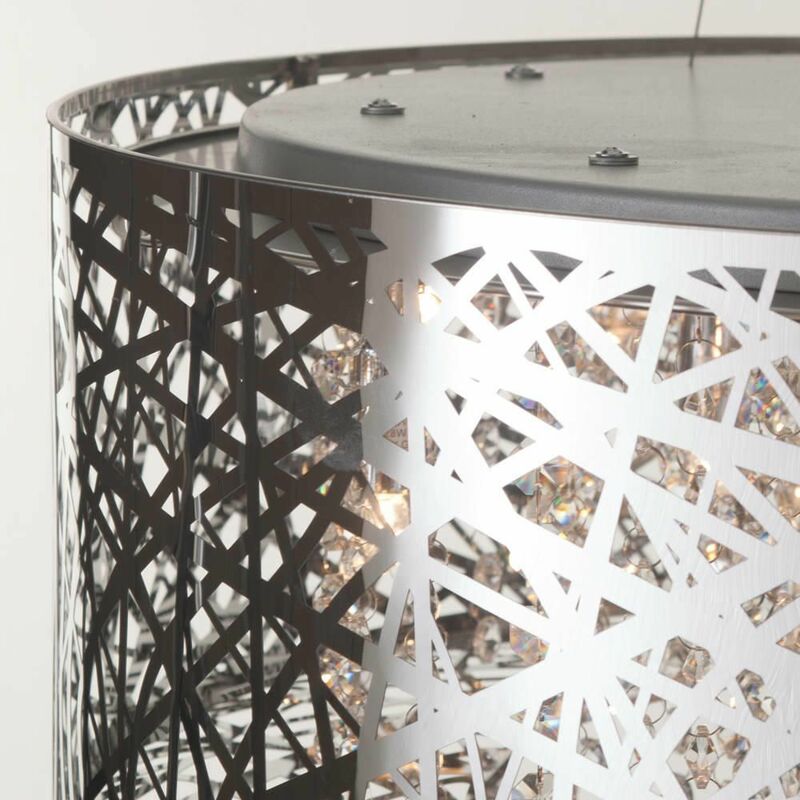 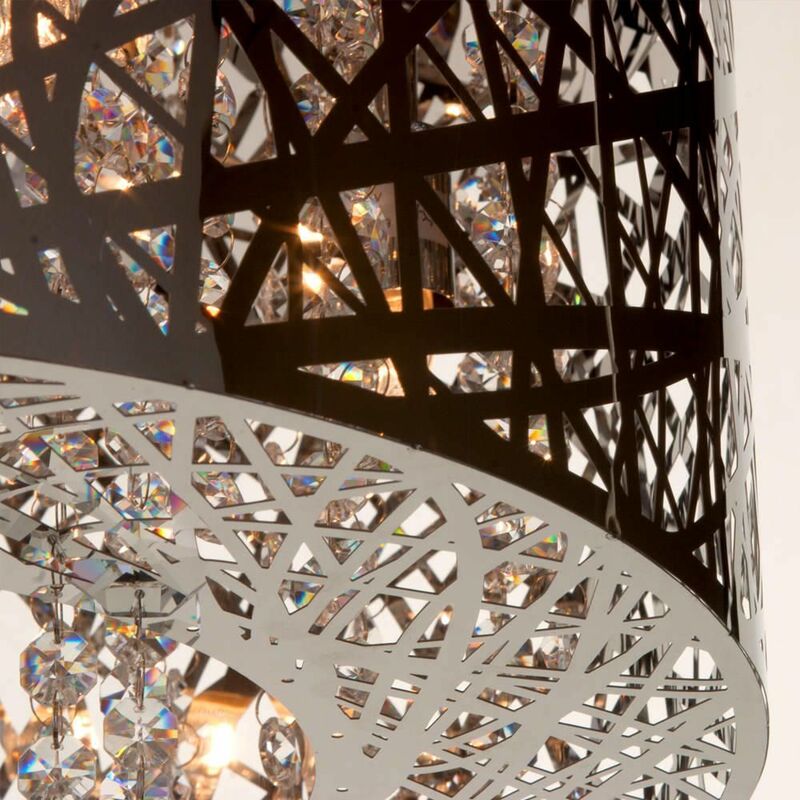 This beautiful pendant light features a polished chrome drum shade with contemporary cut-out lattice detail. 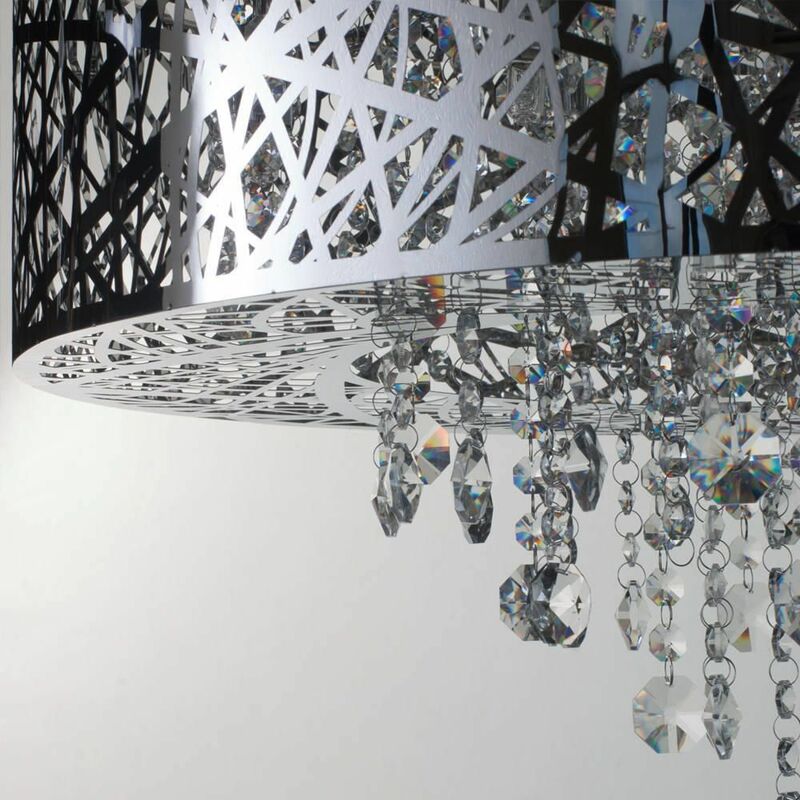 Inside, crystal drops cascade and sparkle with light. 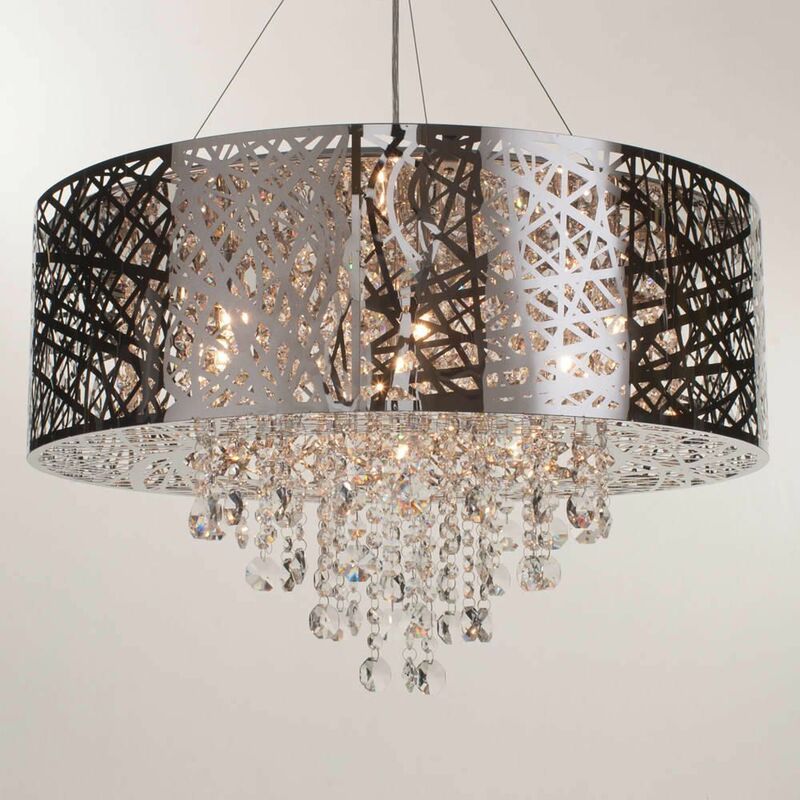 The Ashley pendant light makes a beautiful focal point when hung above a dining room table or in an open stairway. 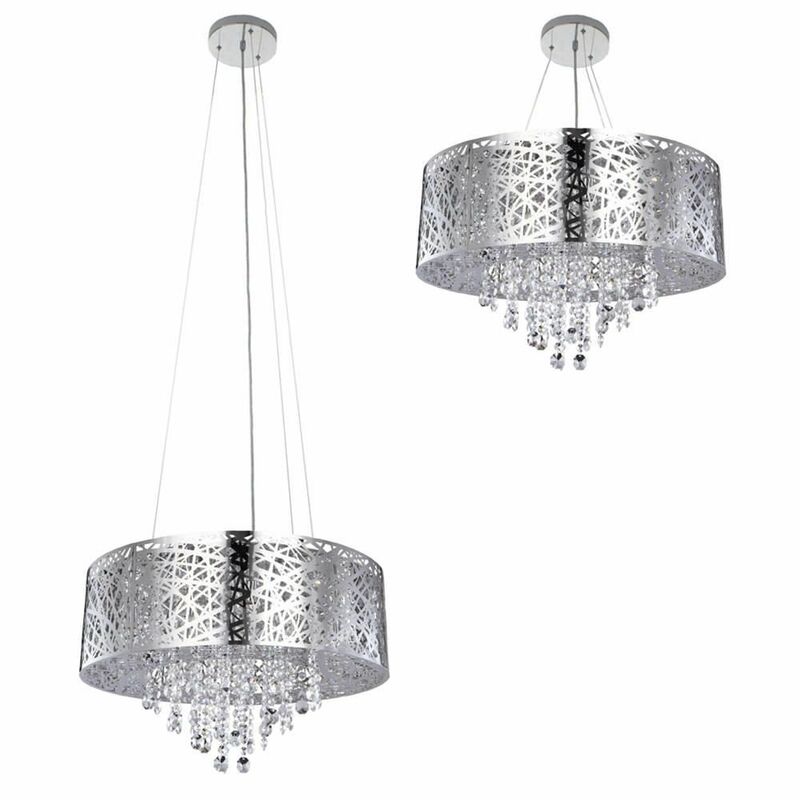 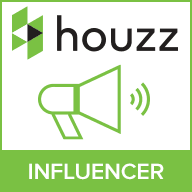 It features an adjustable height and dual mounting, allowing it to be hung at a length to suit your space.